Sorry, but no official profile of Jiji Shoutmon has been added yet. | Jiji (爺) means old man. 1} v., To call or cry out loudly and vigorously. 2} n., A loud call or cry. 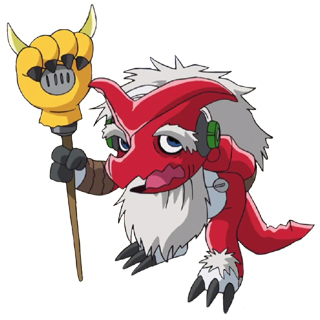 Anime/Manga Digimon Xros Wars: "Shinobi Zone, The Comical Ninja Battle!" One of several comical Digi Xroses performed by Taiki to try and make Karatenmon laugh. ↑ Digimon Xros Wars: "Shinobi Zone, The Comical Ninja Battle!" This page was last modified on 28 March 2014, at 11:47.